Here in the Netherlands we are currently blessed with a warm, sunny start to the autumn. 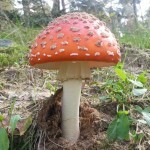 As the trees begin to burn bronze at the edge and the first leaves parachute to the ground, the acorns and chestnuts are dropping while the season’s mushrooms and toadstools are springing up in their shade in time for us to admire them. Kept from the forest by swarms of horse flies throughout the summer, Pip, Anaïs, Vicki and myself have ventured back in to reclaim our right to share its sheltered groves and scented paths. After months of trudging on tarmac roads between fields of maize and other crops, the mares are nice and forward, relishing their return to the relatively wild conditions of the woods. And as they walk beside us, I turn to my horse, scan her moving body and marvel at her healing. Pip is now overtracking nicely on both sides as she learns to carry herself in balance. The body balancing or straightness training, as some are wont to call it, is really helping her no end, as is the focused trimming of her feet. I lift her right forehoof and am stunned by how it has changed. We now have concavity in it and the sole is thicker and healthier than it has ever been. Yes, it has taken a long time as we are now two years and four months down the track. But what a change. In her body too I see the fruits of our endeavours, as well as those of Equine Touch. A few months ago Pip’s lumbar region was still quite stiff and I could not get my fingers under her scapula to vibrate the subscapularis muscle on either side. Now I am beginning to see her sacrum area swing a little more loosely and can palpate perform the subscapular move on both sides. When we started out, Pip was stronger on the left than on the right. This has now switched, as her body seeks to readjust to moving in a balanced fashion. Although the pain and stiffness have largely left her shoulders, she is now finding it a bit difficult to flex fully to the left, even though she steps under quite beautifully on this side. It is a very temporary affair, I feel, as we head into the cooler months. Speaking of Equine Touch, after a three-month wait Vicki and I have finally received our practitioner diploma. 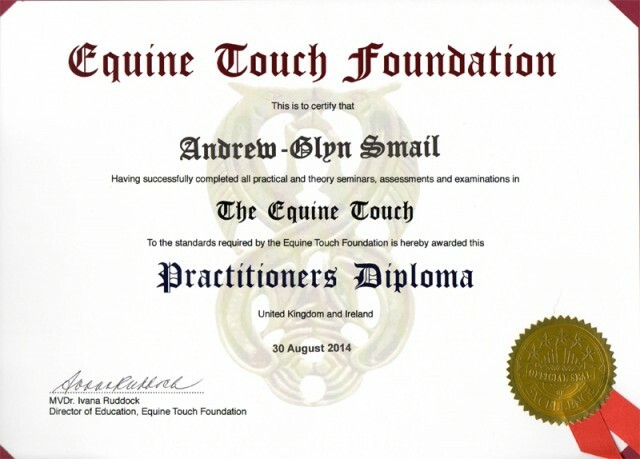 The culmination of far more work than we had originally envisaged, this Equine Touch practitioner diploma is official recognition that we have mastered the theory and practice of this marvellous equine bodywork diploma to the extent that we are now capable of offering our services as professional Equine Touch practitioners. I am particularly chuffed, because both of us managed to complete our studies with a final mark in excess of 90%. In addition, our practical work examiner, Lyn Palmer, who is the most experienced Equine Touch practitioner and instructor, felt that we were the most accomplished bodyworkers in practical terms who had completed the final practical assessment. 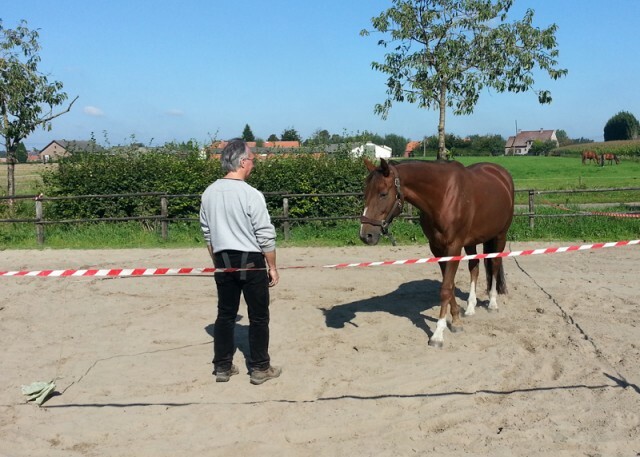 Ultimately though, the horse is the most objective assessor of our Equine Touch skills and my Pip is anything but easy to please when it comes to bodywork. Extremely sensitive, as most chestnut mares seem to have a reputation for being, Pip has required that I adopt an exceedingly resourceful approach to our Equine Touch sessions. But they are paying off, if the improved condition of her body is anything to go by. Our series of five lessons with Jason Alexander Wauters has come to an end and I find myself weighing up the gains for Pip and myself. As the former star student of Klaus Ferdinand Hempfling’s only full-time one year schooling programme, it is clear to me that Jason owes much of his proficiency (and perhaps a few little quirks) to the master who dances with horses. Yet Jason has managed to redefine what he has learned to present it as part of his unique blend of power, sensitivity, grace and joy. For myself, I truly valued the opportunity to experience some of Hempfling’s body awareness exercises again, albeit repackaged and represented in Jason’s inimical way. It has also been a highly beneficial experience to have an instructor explain the theory of liberty work and help with its implementation in practice, while avoiding a mechanical approach. 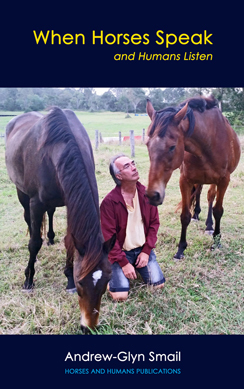 An awareness of the horse as a fellow energetic being that is also highly responsive to variations in the nuances of energy presence is essential to this approach. Pip, I sense, has benefitted as much if not more from Jason’s lessons. During the first lesson it was immediately clear to Jason that Pip was a victim of her past. At liberty she was prone to anxiety and panic in the absence of any other horses and when anything was demanded of her she had learned to protect herself by doing what was asked of her while isolating herself from any contact with the human making demands of her. Jason’s lessons with Pip and myself were designed to help us establish contact at liberty and to raise Pip’s energy levels to the degree required for liberty work without her feeling threatened and while maintaining a connection between us. Ultimately, we were seeking to open the lines of communication between horse and human and develop the trust required to do that at a heightened level of activity. Because of Pip’s propensity to anxiety and panic at liberty, especially in a large open space, the use of a 12-metre square picadero was quite helpful, as it seemed to give her some form of reassurance. Initially, my mare just stood in the corner and shut herself off from everything, even when I entered the picadero and stood a few metres away from her. 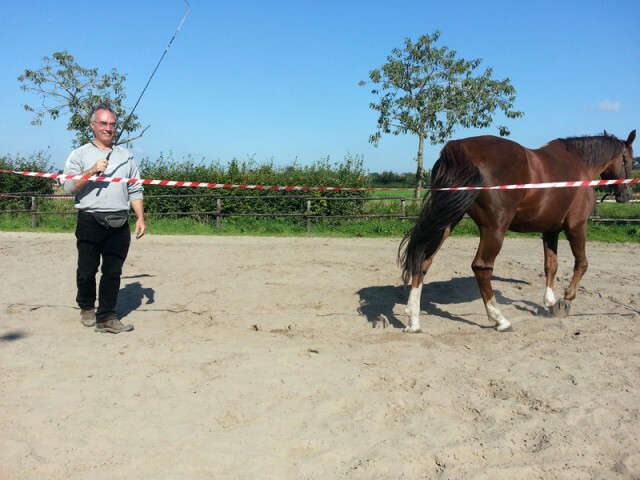 Under Jason’s guidance we sought to change this by raising the energy beyond the level where the horse would be desensitised to the stimulus but by doing so in a non-threatening manner. At the start I was directed to move straight from one side of the picadero to the other while gently waving a whip with a small piece of plastic attached to the drop lash in the air but far enough away from Pip so as not to constitute a threat yet not so far as to be easily ignored, while ignoring her to the extent that all I was aware of was the presence of her energy. What Pip did was her responsibility. She kept an eye on this crazy man walking from one side of the picadero to the other and simply moved away, if she felt I was too close, employing more energy the closer I was to her. Within one or two practice sessions after the lesson, Pip immediately acknowledged me when I entered the picadero and stood still. Once Pip was used to this routine and did not feel threatened by it, in a subsequent lesson I now adopted a more direct approach. Essentially I would be doing the same thing but this time I moved directly to where she was standing and occupied that space without paying her any direct attention. Because my movement was directed towards the spot where she was standing, it had the effect of boosting her energy levels, with the result that she moved more quickly. Yet, because my energy was not directed against her but simply towards occupying the spot, her initial alarm soon faded. She was now beginning to find this interesting rather than threatening, even though her energy levels were raised. Within a few practice sessions after learning this routine, Pip not only acknowledged my presence when I entered the picadero, she also turned towards me. The next step was to start establishing direct contact with Pip. First I would raise both her and my energy levels by occupying a space but this time the moment she moved off I was to turn to her and ask her to move forward but then immediately step back and invite her to come to me after she had taken a few steps. This was the most difficult part of the training. Partly as expected, Pip immediately felt threatened the moment I started to ask her to move forward. She would flex her head and neck backwards towards me to ascertain the nature of the threat but she readily came when I invited her to follow me as I stepped backwards. Yes, her fear was evident but we now had a connection, whereas in the past we did not, and it was possible to banish fear within a few steps by inviting her to come to me, rewarding her with praise and a treat. Some of our practice sessions after this went very pear-shaped and I was almost ready to stop. Vicki suggested that it might help if I were to lower my own energy level. Ready to try anything, I did and Pip responded accordingly. She was far less apprehensive and we had a connection which allowed me to ask her to move around the picadero at the walk while raising and lowering the pace without her feeling threatened. She would then come to me, when I step back and invited her to do so and rewarding her. A number of things became very clear to me during these lessons. 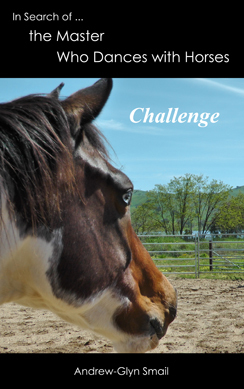 The most relevant was just how important it is to achieve the appropriate level and quality of the energy that is required to establish communication and trust with a horse. The human needs to be fully focused and in the moment, if they are to be sensitive enough to produce a type of energy which is light and playful, like that of a child, the type which breaks down communication barriers and instils trust, paradoxically with the aid of the indirect, dominant approaches outlined above. The pure mechanics of employing lungeing theory at liberty is simply not enough, not unless all you are trying to do is to drive a horse around in a circle, the very thing that drove Pip to learn how to move on autopilot in order to protect herself in the past. It is rather interesting to see how this breakthrough is now reflected in my other activities with Pip. Our body balancing (a.k.a. straightness training) sessions are a case in point. Pip is now much more focused on me than she was in the past. This is making it much easier for us to do shoulder-in at the trot on a loose lead. The liberty sessions enable Pip to learn how to carry herself, something which is absolutely essential, if she is ever to carry me as well. This brings me to riding. With all the healing that my horse is experiencing, I am now toying with the idea of making the first direct step towards riding later this month or sometime in October. It is not only Pip who needs to prepare herself for this. So too do I. Vicki has suggested that 75 kg is a good target weight, if I wish to ride without overburdening my mare. When I last weighed myself a few weeks ago, I was on 82.5 kg. This means that I have some shedding to do. Even then, I would not seriously consider asking Pip to carry my target weight for any lengthy period of time. I am very conscious of the fact that a horse’s back was not designed to carry a human. 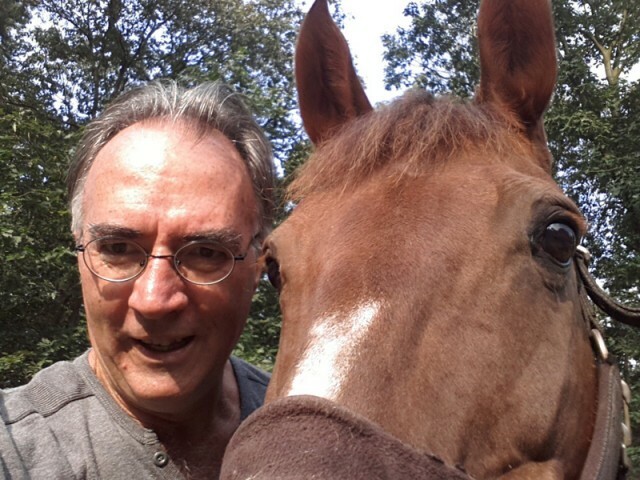 If Pip shows me – and a horse is quite capable of revealing this to anyone who cares to know – that carrying a human, in this case me, is too much for her, I am committed to getting off her and never getting on again. This is the very least I can do for my horse. Stay tuned! The joy of deepening connection and positive change between yourself and Pip, as well as the happiness to see improved physical change within Pip, is palpable in your writing. It is lovely to read, and a testament to your commitment to self improvement and perseverance. If you are looking for recommendations for a weight loss program, Glenn and I can both recommend the 5:2 intermittent fasting – which is about general health and well being as well as weight loss. We read the book first which helped us understand it more thoroughly, and it seems to be based on sound principals. In addition it is a lifestyle change that we can sustain for the long term, rather than just a short “diet period” that is lost when you go back to your “normal eating” once the goal weight is reached. Yes, it is a lovely journey with Pip. Travelling is becoming much more fun in the knowledge that the destination is perfection and, as such, unlikely to be achieved. It takes the pressure off the kettle as it were. Thanks for the weight loss tip. I’m already down to 76.3 kg (this morning), so not long to go. So so true! 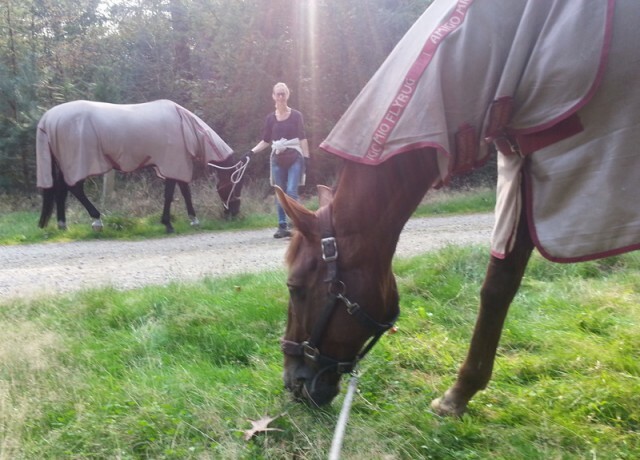 And when I realised that I started to enjoy being with my horse just that much more. The other thing that helped me is realising that everyone has a different opinion on what is right or wrong to do with, and to, your horse. In the end, I just needed to listen to everything, filter it out, take what feel right and what at this/that point I could implement, and leave behind/let go of the guilt of what others might think and just enjoy with all my heart being in the moment, in the best way I can, with my horse. (Always looking to do better and improve, but not be weighed down or oppressed by the guilt of my assumption of others expectation). Glenn sends a hug to you both – as do I.